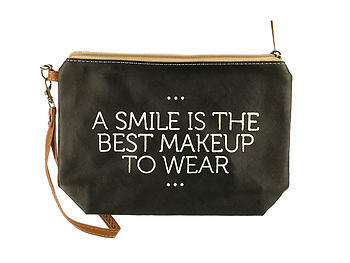 A Smile Message Print Vinyl Carry All Pouch Bag Accessory w/ Wrist Strap. 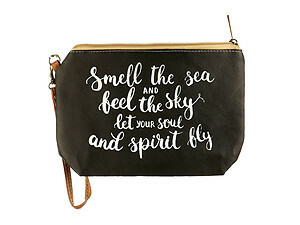 This bag is perfect for carrying toiletries, school supplies or makeup. It measures 9" wide x 6" tall and is 2" deep with a fully lined interior and zipper closure. Oh so cute and is perfect for yourself or for gift giving!